Following the privatisation of British Telecom (BT) in December 1984 and ending it's monopoly which began more than a 100 years ago in 1912, Mercury Communications Ltd, a Cable and Wireless Company began introducing an alternative network of public payphones in the UK a few years later. On July 27th 1988 and with much fanfare, Mercury launched their first 26 public payphones that would rival BT at Waterloo Station, London. 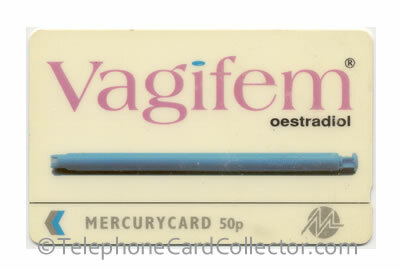 What made Mercury public phones so unique was the fact that their customers had to either use Mercurycards (prepaid telephone cards - similar to BT Phonecards) or credit/debit cards, coins weren't accepted in their phones at all. 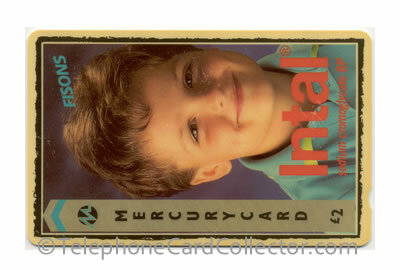 To commemorate the day of the launch, Mercury released a special set of Mercurycards entitled 'First Issue'. The three card set comprised of a £2, £4 and £10 phonecard and featured illustrations of Mercury's telephone kiosks and payphones. Mercury's network of telephone boxes or booths - as most were open aired (as pictured above), then expanded to major cities and towns across the UK. Though not all cities saw them, the city of Peterborough for example never saw a single Mercury payphone. Today, in 2019 you won't Mercury payphones on the streets of the UK. Mercury Communications and their network of payphones continued to expand until 1995, when they were brought out by telecoms company Interphone. 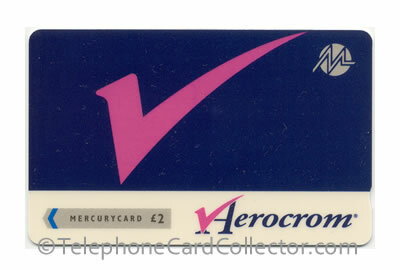 During the time that Mercury and their phone cards named Mercurycard were used throughout their network of public cardphones, some 800+ different telephone card designs were issued. Mercurycards used magnetic technology to store the telephone call credit and were issued in denominations of either 50p, £1, £2, £4, £5, £10, £20 and on a rare occasion £2.50! Originally in the late nineteen-eighties when Mercurycards were first launched they were manufactured by telephone card producer Plessey. However, a few years later GPT (another telephone card producer) took over as the manufacturer of their cards. Later in 1991, Mercury Communications and GPT set up a new joint company named Paytelco. The idea behind Paytelco was to target high profile locations with public cardphones. These high profile locations included petrol station forecourts, motorway service stations, department stores, university campuses, hospitals and football grounds. Paytelco card customers included Shell, Boots, the Post Office and Trust House Forte who were supplied with their own branded telephone cards. 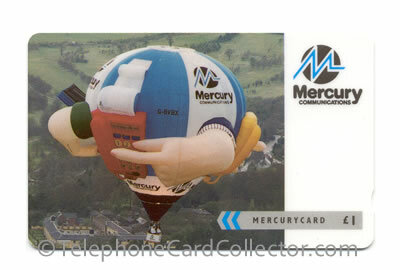 Paytelco cards carried 'Mercurycard' branding and could be used in either Mercury or Paytelco public telephones throughout the UK. To the end user/customer there was no difference between a Mercurycard and a Paytelco issued card. However, to collectors there is an obvious a big difference and in catalogues such as the World Phonecard Catalogue United Kingdom 2 you'll find Mercurycards and Paytelco cards listed separately with different catalogues numbers. 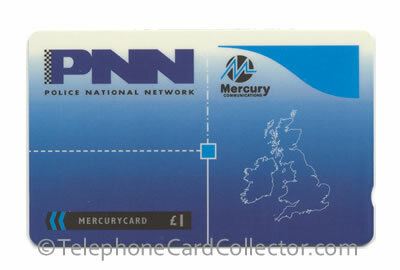 Pictured above - MER545: PNN - Police National Network £1 Mercurycard. In 1993, Paytelco was taken over by New World Payphones who continued the operation under their own brand name 'Cardlink' for magnetic cards and later 'Smart Z' for chip cards. Today in 2019 New World Payphone telephone cards are no longer being issued, however their network of public payphones where they coul once be used are still on the streets of the UK, typically in London. Read more about New World Payphones. Mercury themselves and their network of payphones were bought out by Interphone in 1995. Many people though, still continue to collector their telephone cards. 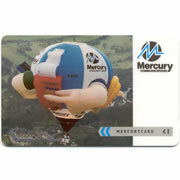 Pictured below is a selection of medically themed advertising Mercurycards. 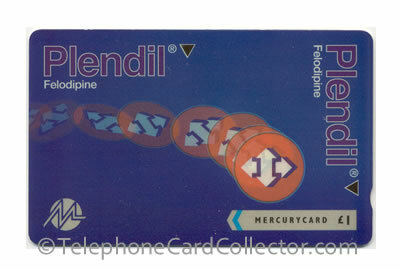 These telephone cards were given to GPs and other healthcare professionals e.g. dentists. Initially Mercury ran its own collectors club selling cards at face value direct to collectors. After a very few months Stanley Gibbons was appointed to take over the collectors club, however there were still problems dealing with the needs of collectors and this scheme was soon replaced by a group of specialist retailers who were allowed to purchase cards at a discount on face value and to retail the cards to collectors. By 1992 it had become obvious that selling cards below face value, many of which had cost considerably more than face value to produce in the first place, was not sustainable. The Mercury Collectors Club was wound up in July 1992. After many months of negotiations between a representative from the hobby and Mercury Communications the club was reformed as a joint venture between a few selected authorised phonecard dealers and Mercury, although the cards were sold at a premium over face value. Therefore Mercurycards issued between July 1992 and 1993 weren't so readily available to collectors, and therefore may still command a higher price. 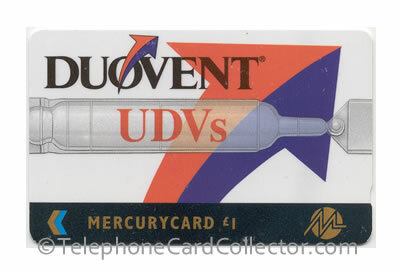 This history of Mercury and their phone cards will continue... Can you help with the content for this page? If so, please see my contact page.